These rugged gauges with stainless steel case are big enough to read accurately for service or test purposes. The break-resistant plastic lens will survive the service truck. 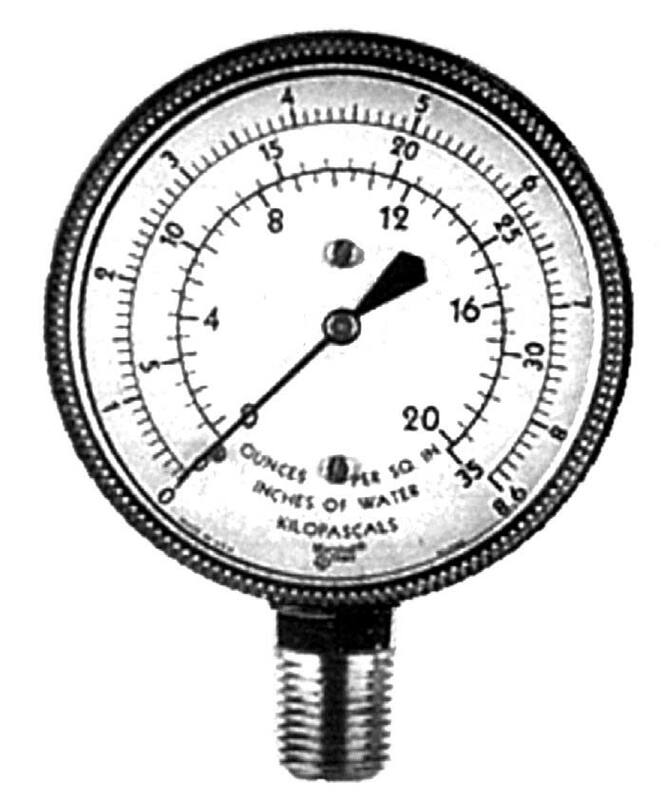 Lower cost “tin can” gauges have their purpose but are usually lower accuracy, averaging 2–3% of full scale. Compound ranges are useful for reading pump pressures which sometimes pull a vacuum on startup and can damage the pointer. Gauges shown are 1/4lbottom mount. Slotted zero adjustment on the dial face. 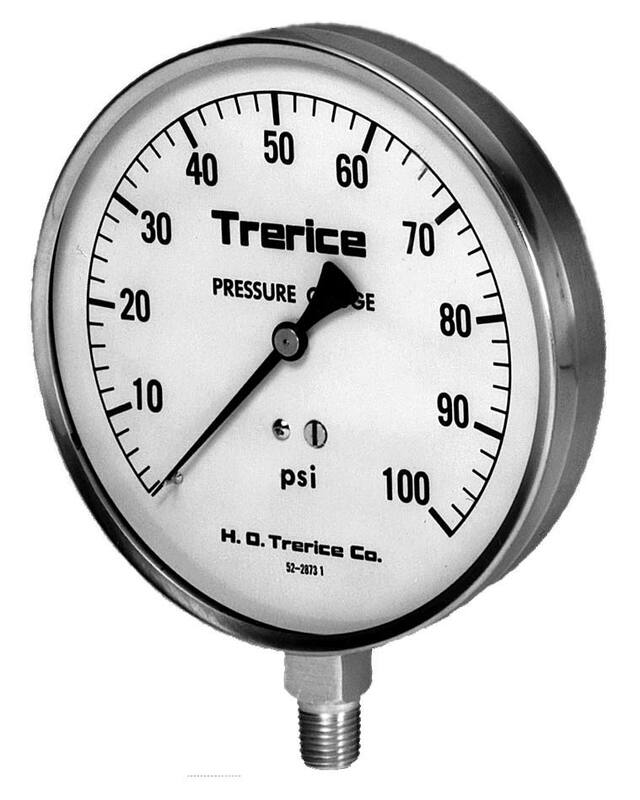 Instead of a manometer, use these compact low pressure gas gauges for testing, calibration or troubleshooting. Models shown are 1/4"